Register With Us Not Been To Us For A While? Direct Access Appointments Need An Emergency Treatment? How was your last visit with us? For every review we will donate £1 to charity! El-Nashar Dental Care provides excellent dental care within the Newton Abbot area. We offer a full range of dental treatments from emergency through to cosmetic solutions. 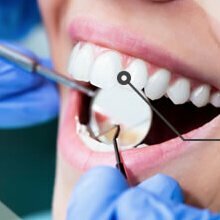 We are a private practice with a multi-disciplinary team which includes 5 Dentists, both male and female, Dental Therapists, Hygienists, and an Oral Health Educator. After the dentist has carried out all the required checks and screening procedures they will then spend some time showing you your x-rays and photographs, discussing your dental health and any concerns they may have and advising you of what your treatment options are. We are currently closed. However, we reopen Thursday 07:00. Help us raise money for charity. For every review we will donate a pound to charity.